8 Inches Chinese Zhaoqing Duan Yan Ink Stone Song Keng Inkstone 百鸟归巢 Handmade by Charming China Ink Stone at Stickman's Blog. MPN: LX. Hurry! Limited time offer. Offer valid only while supplies last. This ink stone is very suitable for you to collect and use! 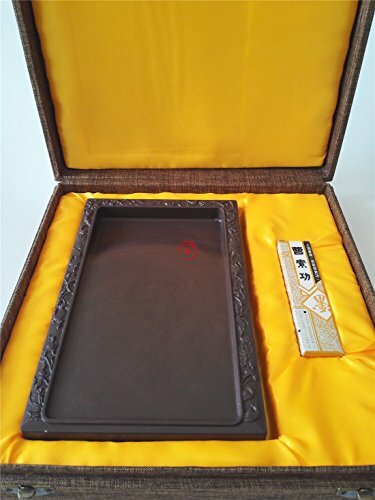 The Duan inkstone, with a history of 1,300 years, is made in Duanzhou(now Shaoqing), Guangdong Province. A Duan inkstone is not just a us`eful implement for writing but a beautiful object of art. And DUAN inkstone can be easily sold over RMB10,000.A top-class inkstone may has a value of over millions!! If you have any questions about this product by Charming China Ink Stone, contact us by completing and submitting the form below. If you are looking for a specif part number, please include it with your message.